Did your lazy, good for nothing soldiers cast their cynical spell ? Are they yawning down below you, smoking mouths in the circle of hell ? 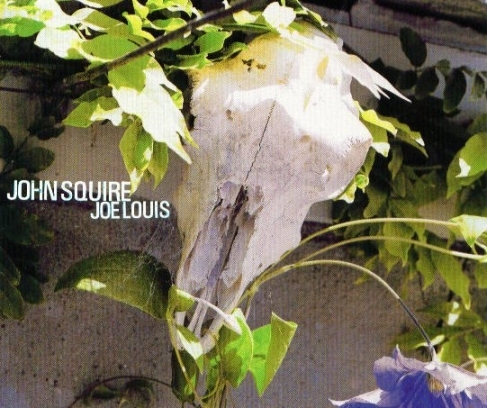 The Joe Louis artwork for CD1 is from 'Joe Louis', a photograph of a 1999 work, 'Animal Skull' (animal skull, 1999); The Joe Louis artwork for CD2 is another photograph of the same piece with foliage, entitled 'Animal Skull, Foliage'. Both photographs were taken by John's partner, Sophie Upton, in 2002. Richard Attenborough (Pinkie Brown) and Carol Marsh (Rose) star in Brighton Rock. 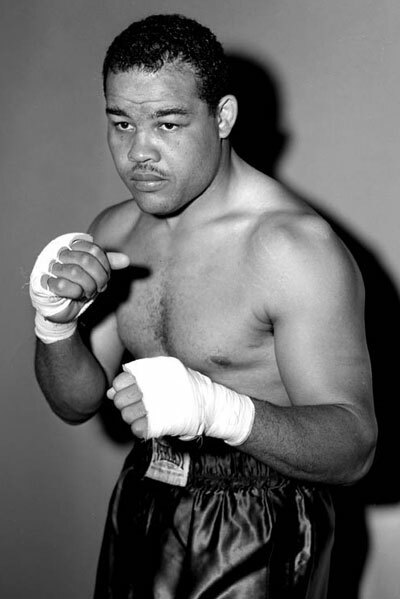 On Joe Louis, a Rose looks back on a fractured relationship with Brown. He trailed the clouds of his own glory after him: hell lay about him in his infancy. Pinkie’s death (p. 243) itself takes the form of supernatural punishment: "it was as if the flames had literally got him" (the burning of the vitriol anticipating and becoming a metaphor for the hell-fire which Pinkie is about to meet). Pinkie's hell, as Prewitt correctly divines, begins before his death. She sat with her hands round her knees and her cheeks burned on the tip of the bone: anger was as good as rouge on her thin face. "Thus, it seems virtually certain that I shall never know what it feels like to be Sir John Falstaff or Joe Louis." (The Doors of Perception, p. 5). Top: Muhammad Ali and Joe Louis. Just like Brown and Squire, Louis and Ali didn't get along either. 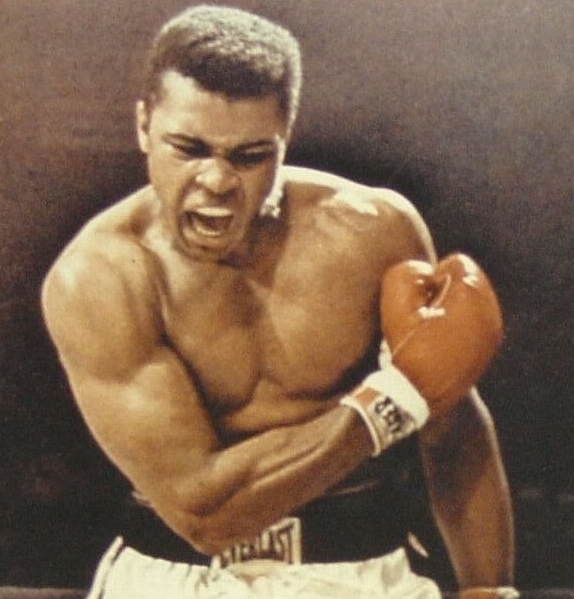 Louis was critical of Ali when he changed his name (from Cassius Clay, after joining the Nation of Islam in 1964), and for his refusal to serve in Vietnam. In the 1960s, Louis was frequently mocked by segments of the African-American community, including Muhammad Ali, for being an Uncle Tom. 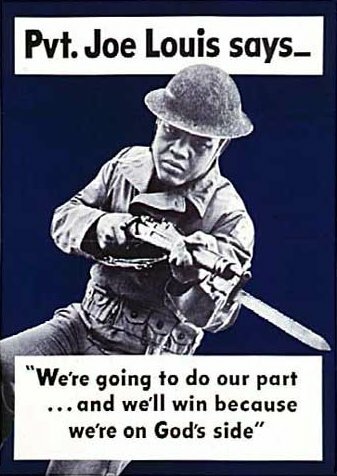 Joe Louis' nickname was 'Brown bomber', and John may see himself as the 'Ali' to Ian's 'Louis.' Images of battle and conquest abound throughout Brighton Rock; Ian was the last man standing in the Roses, and here Squire, flexing his military might, labels his Reading '96 cohorts "lazy, good for nothing soldiers". Speaking to Radio 1 in late August 1996, Aziz was unwisely dismissive of John Squire: "It was like I was meant for this band in the first place and some joker was there before me." I recall Squire, in response to this, saying that he did not know Aziz from Adam. 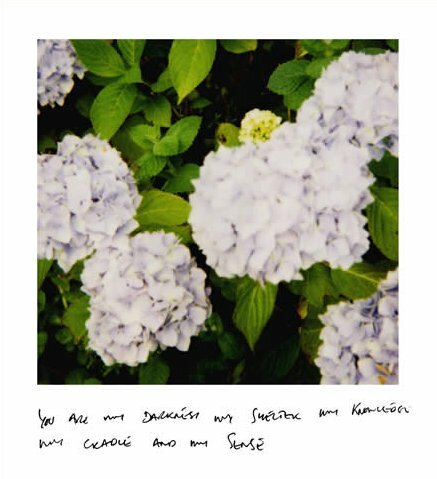 Second row: 'Did Your Lazy Good For Nothing Soldiers Cast Their Cynical Spell' and 'You Are My Darkness My Shelter My Knowledge My Cradle And My Sense', photographs by John Squire which feature in the debut LP collage. In the first of these two photographs, the letters 'SES' are framed. 'SES' are the final three letters of 'THE STONE ROSES' (and 'THE SEAHORSES'). 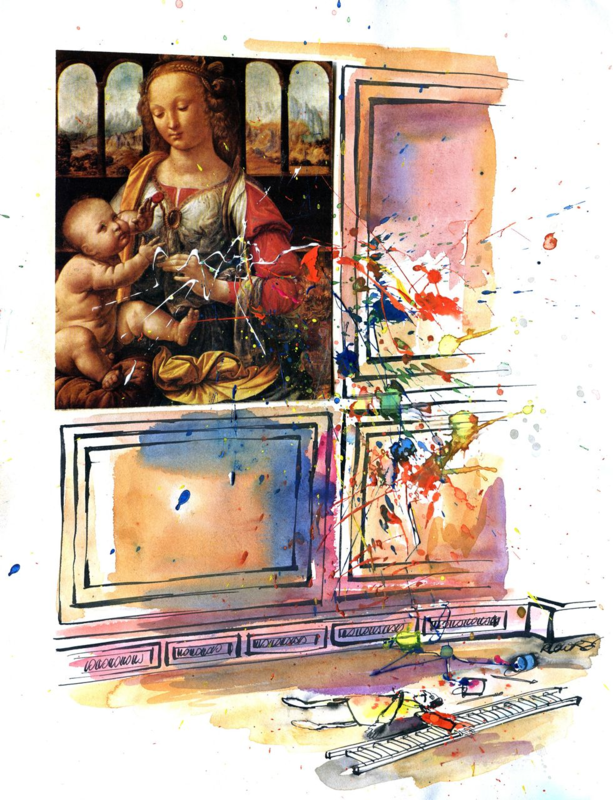 Does the coupling of the verbal blow identified above ("lazy, good for nothing soldiers") with this image (the end of the Roses) carry meaning ? 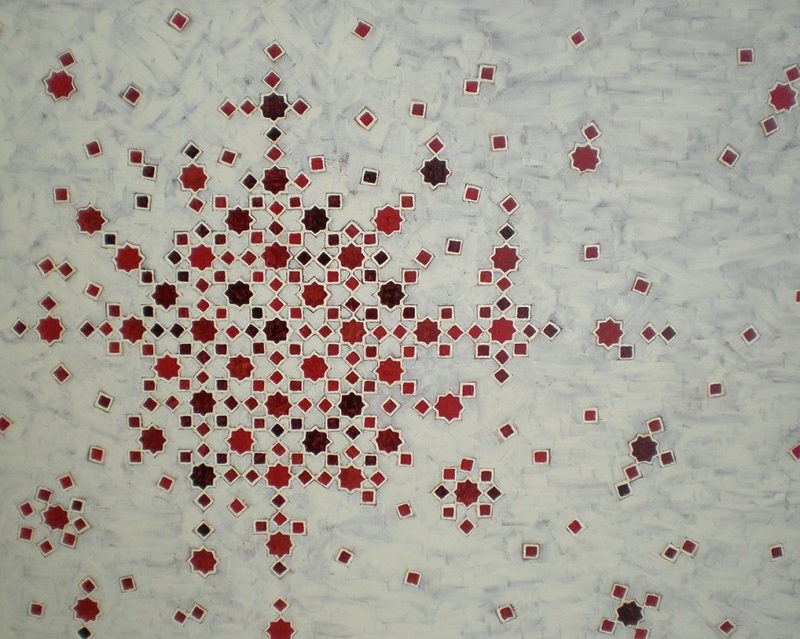 Bottom: On this boxing theme, the resemblance of one of Squire's 2011 Celebrity artworks to a blood-splattered boxing canvas prompted him to name the work 'Sugar Ray Leonard' (ink & oil on canvas, 70cm x 90cm). 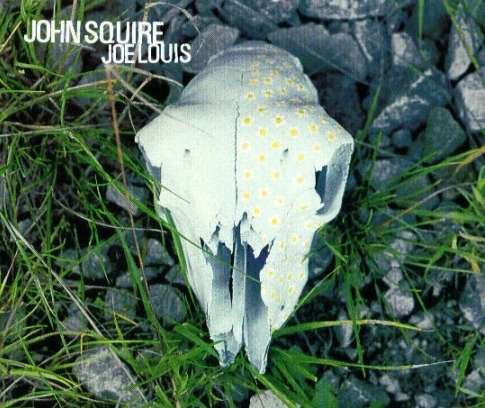 John Squire's debut solo album, Time Changes Everything, revisits the structure of The Stone Roses' debut in opening with the subject matter of nascency; Adoration of the new-born Magi on I Wanna Be Adored, and the premature birth of his nephew, whose name is Joe Louis, on this track. With this solo LP closing with the theme of settling down in life (Sophia), the album thus, just like the Roses' debut, envelops the entire journey of life. The Joe Louis guitar riff picks up where Driving South left off; listen to the guitar part at the end of Driving South, coinciding with the mobile phone being dialled. The opening line of the song is lifted from 'Is Your Love in Vain ?' by Bob Dylan ("Well I've been to the mountain and I've been in the wind"). 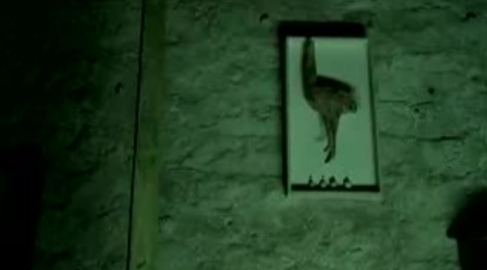 The lyric, "Are they yawning down below you, smoking mouths in the circle of hell ?" 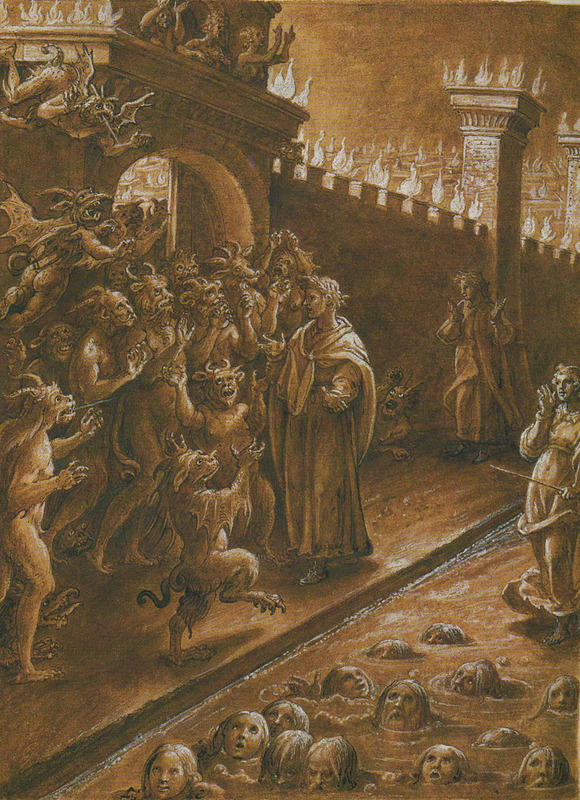 has elements of Dante's Inferno, the first part of Dante Alighieri's fourteenth-century epic poem 'Divine Comedy', in which Dante and the Roman poet Virgil journey through the nine circles of Hell. From the Reading stage, Ian would have looked down at open mouths, some in disbelief, some in boredom, at the spectacle unfolding before their eyes. With his headline-grabbing cameo at Knebworth in August 1996, Squire reigned on the Roses' parade. 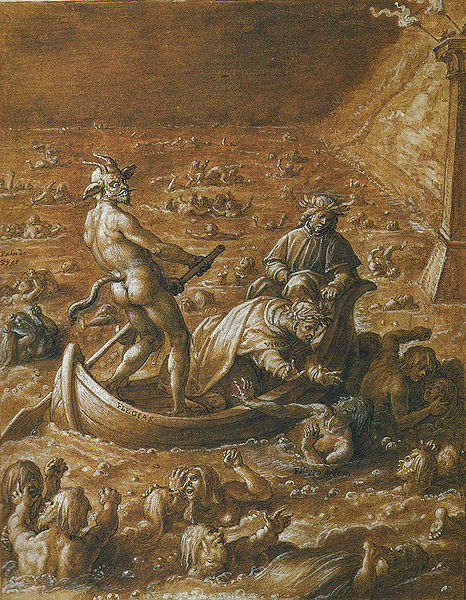 Top: Stradanus illustration of Dante's Inferno, Canto 9. Middle row: The third and fifth circles, illustrated by Stradanus. Bottom: The first 5 circles of Hell. 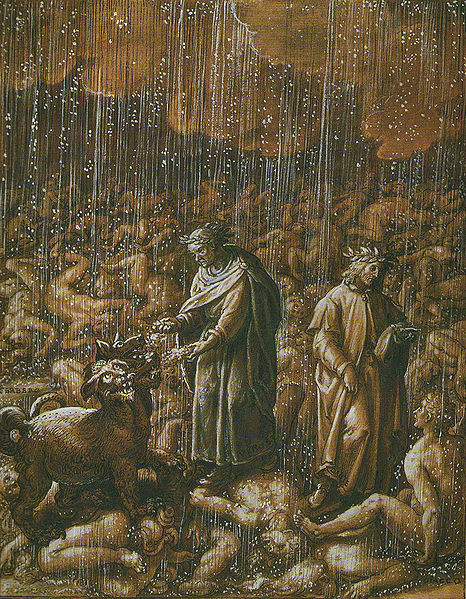 Allegorically, the Inferno represents the Christian soul seeing sin for what it really is, and the three beasts (a lion, a leopard, and a she-wolf) represent three types of sin: the self-indulgent, the violent, and the malicious. 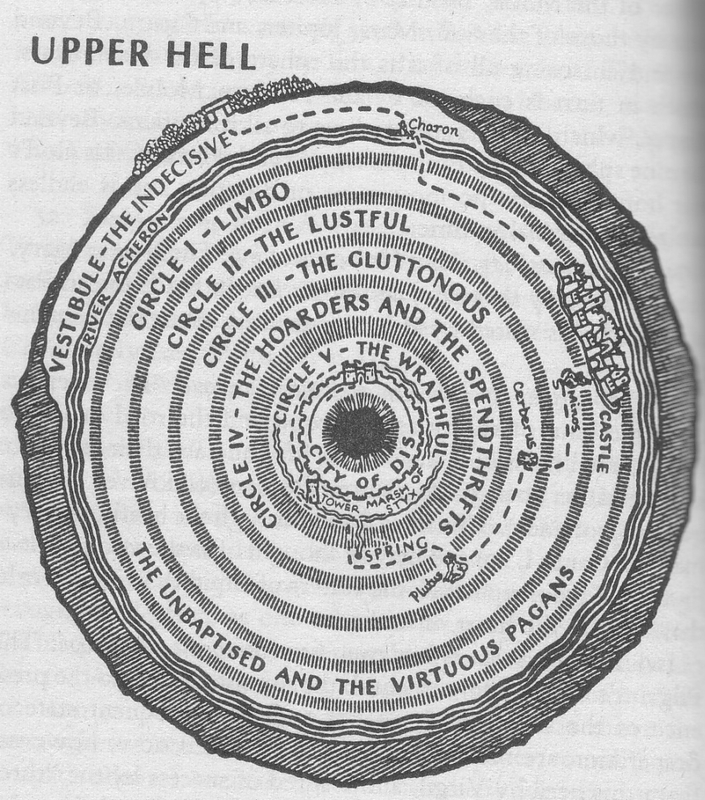 These three types of sin also provide the three main divisions of Dante's Hell: Upper Hell (the first 5 circles) for the self-indulgent sins; circles 6 and 7 for the violent sins; and circles 8 and 9 for the malicious sins. 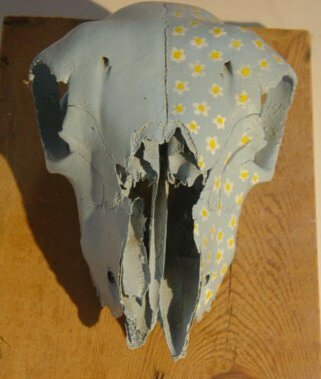 At the beginning of his solo career, Squire developed a strong interest in the work of Georgia O'Keeffe (1887 - 1986); see, for example, 'Animal Skull', from 1999. 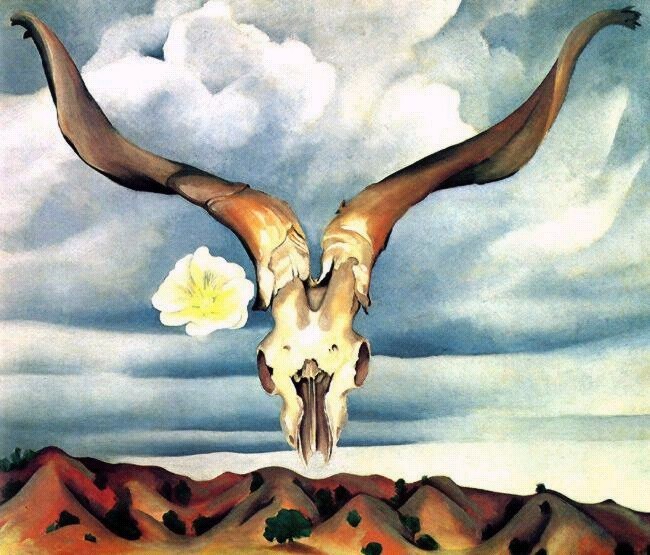 O'Keeffe is best known for her large paintings of desert flowers and scenery, in which single blossoms or objects - such as a cow's skull - are presented in close-up views. 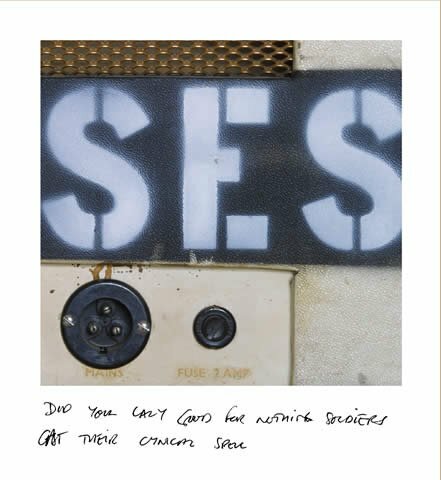 The official John Squire website launched in a rather cryptic manner, with a shot of a Pollocked skull and the words Sub Rosa flashing on your screen. 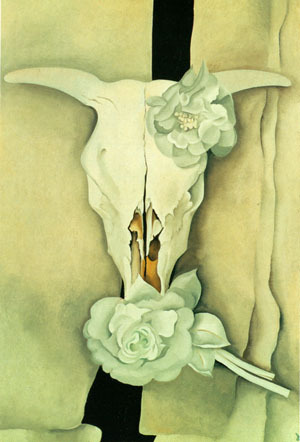 Sub Rosa is latin for 'under the rose' (note how the cow's skull in one of the featured O'Keeffe artworks below is 'under the rose'). 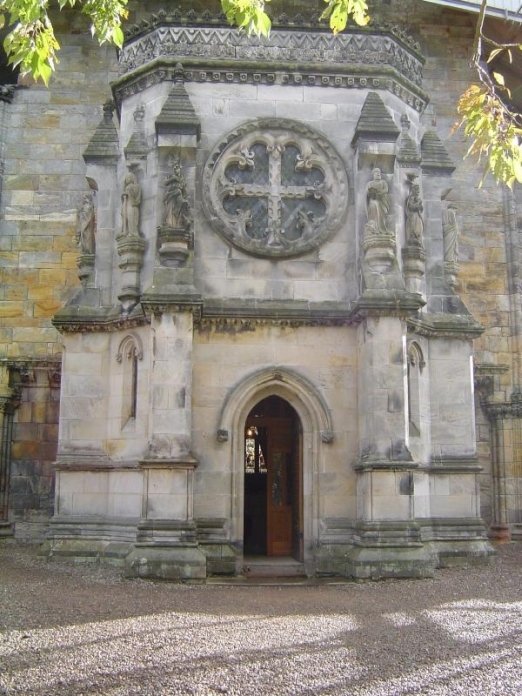 Rosslyn Chapel in Scotland may have been an inspiration in this regard; Sub Rosa refers to a code of secrecy, the ancient act of people gathering under a ceiling - featuring 'stone roses' - to discuss and share important information. The connotation of the rose with secrecy dates back also to Greek mythology. Aphrodite gave a rose to her son Eros, the god of love; he, in turn, gave it to Harpocrates, the god of silence, to ensure that his mother's indiscretions (or those of the gods in general, in other accounts) were not disclosed. Top left: 'Cow's Skull with Calico Roses' (1931) by Georgia O'Keeffe, oil on canvas. Top right: 'Ram's Head, White Hollyhock - Hills' (1935) by O'Keeffe, oil on canvas. Second row: John Squire's decoration of skulls recalls the work of John LeKay (b. 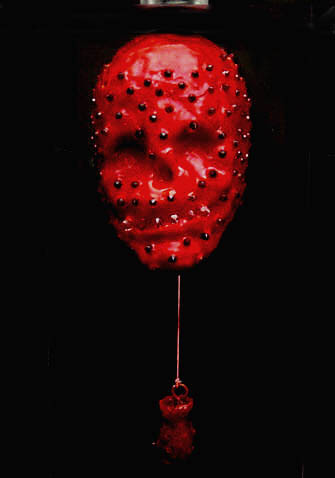 1961): 'Spiritus Callidus #1' (1993, left), and 'Sangulipe' (2002 - 2005, right). 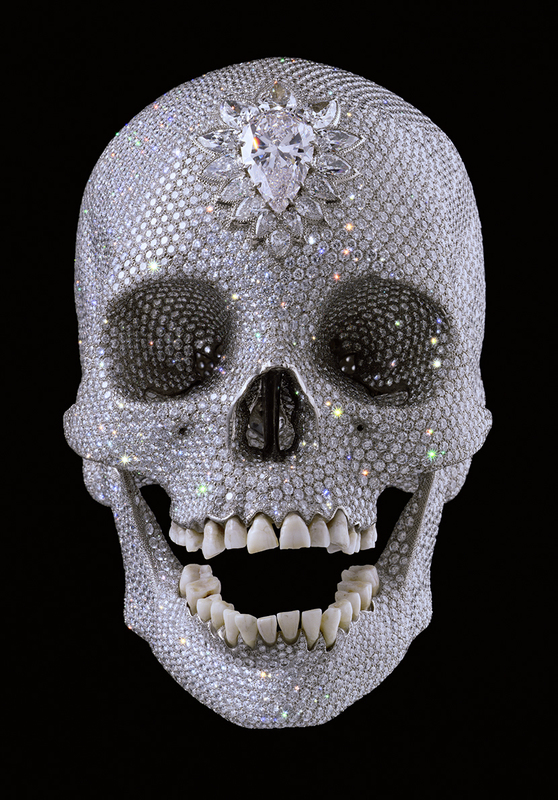 Squire's work predates Damien Hirst's venture into this territory, 'For the Love of God' (2007). 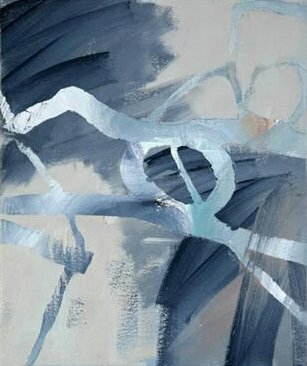 On this theme, John Squire would entitle a 2007 artwork, 'Charnel' (oil on canvas, 20" x 10"). A charnel house is a vault or building where human skeletal remains are stored. 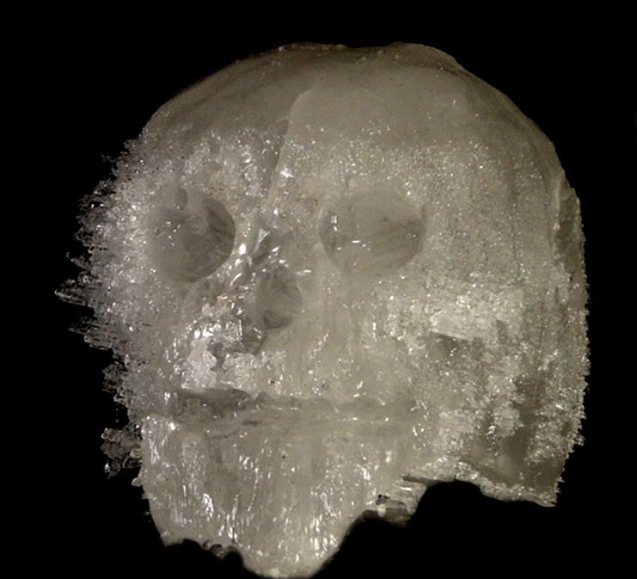 They are often built near churches for depositing bones that are unearthed while digging graves. The term can also be used more generally as a description of a place filled with death and destruction. 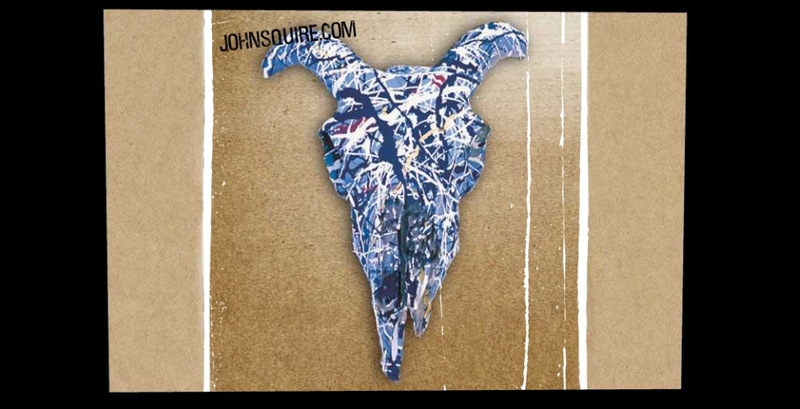 Third row: John Squire's official website launched, 'sub rosa', in 2002. 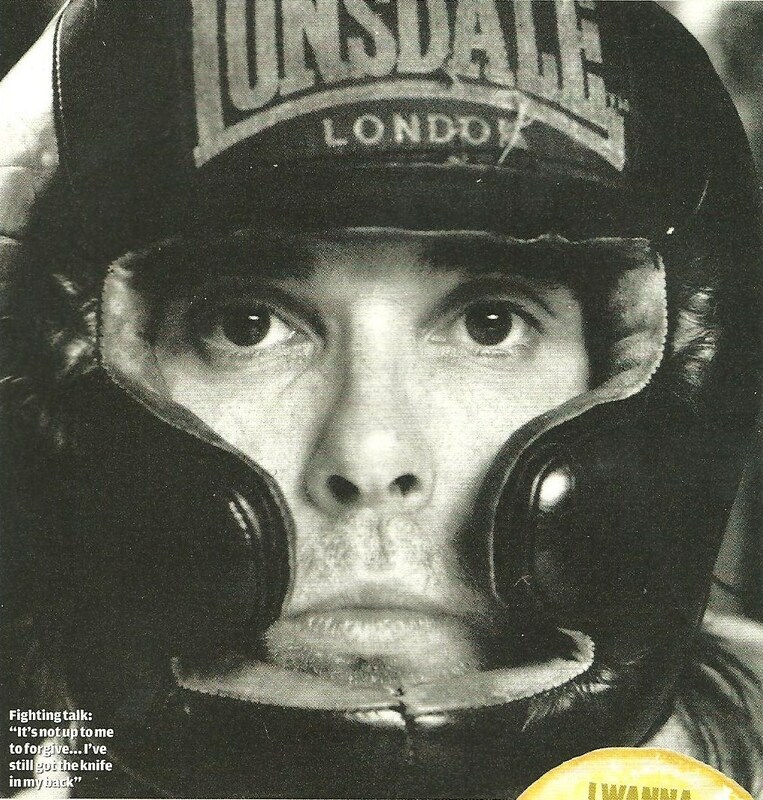 Secrecy (note the reversed Geffen logo) shrouded the promotion of The Stone Roses' return to the fold, also, in 1994. Fourth row (left): Rosa Templum (Temple of the Rose): the entrance to Rosslyn Chapel. 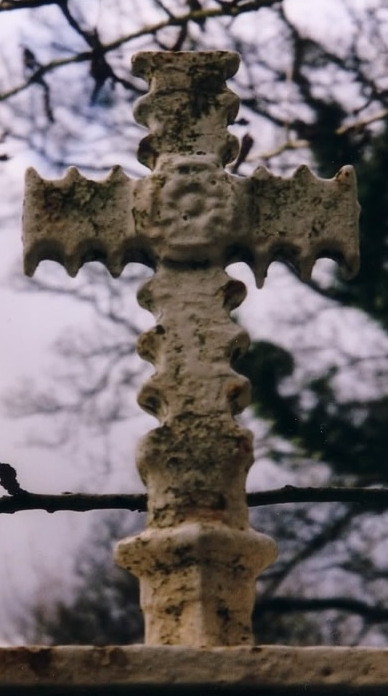 Fourth row (right): During the 19th century, the fourth Earl of Rosslyn placed railings round the Chapel, which were surmounted by the St. Clair heraldic engrailed cross, with a rose overlaid at the point of intersection. Bottom: The ceiling of Rosslyn Chapel. Adorned with mysterious figures, the chapel has long been the subject of wilful speculation regarding its possible connection to Freemasonry, the Knights Templar, and the Holy Grail. 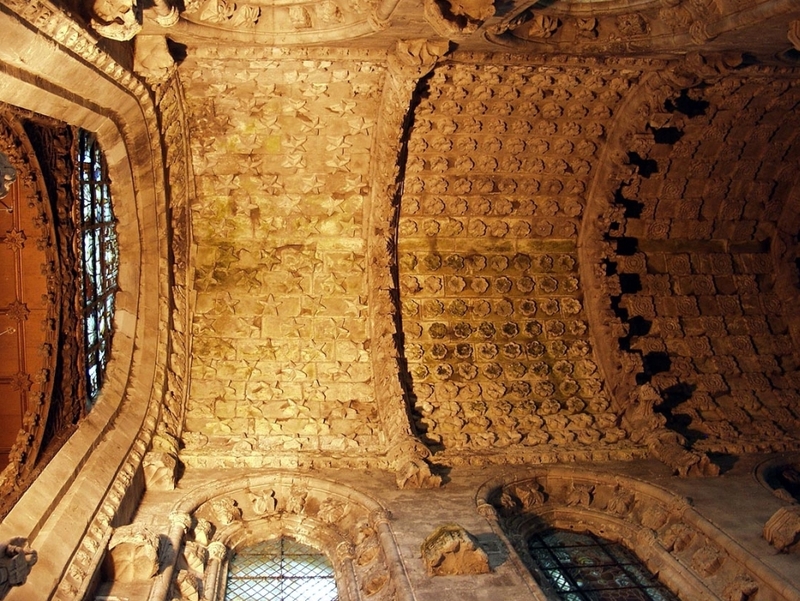 The mysteries of Rosslyn Chapel (and the term Sub Rosa) were brought to the attention of a much wider audience by Dan Brown's bestselling novel, The Da Vinci Code. The Joe Louis video follows the lead of David Bowie's 'Look Back In Anger' (1979) (itself thematically influenced by Oscar Wilde's 'The Picture of Dorian Gray'), with the focus on an artist in isolated contemplation of his work. 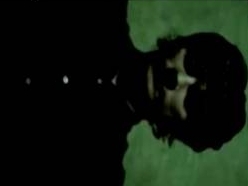 Indeed, the manner in which a sideways shot of Squire is shown at the start of the video, promptly followed by a return to the 'normal' viewpoint, is reminiscent of the opening of that Bowie video, with Bowie turning a canvas on its side into an upright position. 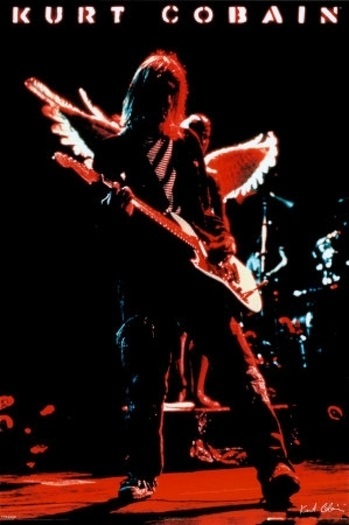 Squire superimposed his own face onto a cherub on the Second Coming artwork, and several references are made to angels on that album. On Tightrope, we learn that John's companion is an imagined angel (She knows just what to do). Along with David Bowie and Jimmy Page, Squire shares an interest in the work of occultist Aleister Crowley. It has been suggested that Bowie's conversation with an angel on 'Golden Years' has origins in Crowley's writing on 'The Knowledge and Conversation of the Holy Guardian Angel.' Within the system of Thelema founded by Crowley in 1904, the Holy Guardian Angel is the 'Silent Self', representative of one's truest divine nature. Crowley seems to consider it equivalent to the Genius of the Hermetic Order of the Golden Dawn, the Augoeides of Iamblichus, the Atman of Hinduism, and the Daemon of the ancient Greeks. He borrowed the term from the Grimoire 'The Sacred Magic of Abramelin the Mage'. Even though the Holy Guardian Angel is, in a sense, the 'Higher Self', it is often experienced as a separate being, independent from the adept. In the system of Thelema, the single most important goal is to consciously connect with one's Holy Guardian Angel, a process termed 'Knowledge and Conversation'. By doing so, the magician becomes fully aware of his own True Will: "It should never be forgotten for a single moment that the central and essential work of the Magician is the attainment of the Knowledge and Conversation of the Holy Guardian Angel. Once he has achieved this he must of course be left entirely in the hands of that Angel, who can be invariably and inevitably relied upon to lead him to the further great step - crossing of the Abyss and the attainment of the grade of Master of the Temple." Crowley, Aleister Magick Without Tears (Phoenix: Falcon Press, 1982), Ch. 83. 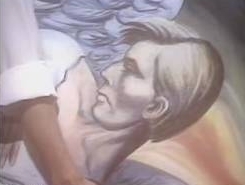 The opening of the Look Back In Anger video finds Bowie's face painted on a cherub, with the opening lyrics: '"You know who I am," he said. The speaker was an angel...'. 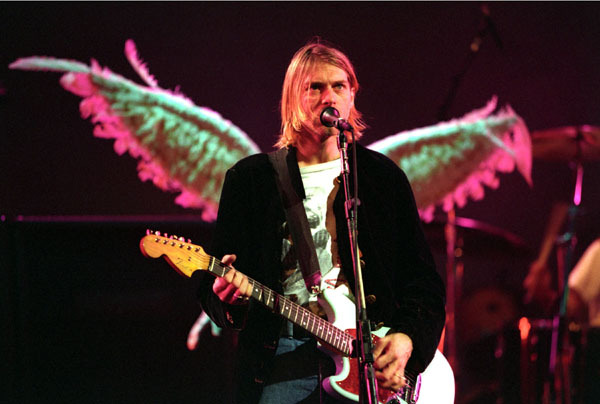 This preoccupation with angels can be traced back to Jimi Hendrix (see Charles Shaar Murray's 'Crosstown Traffic: Jimi Hendrix and Post-War Pop'). Top row (left to right): Joe Louis video; David Bowie's Look Back In Anger video; Love Spreads artwork (crop), showing a childhood photo of Squire's face superimposed onto that of a cherub; Childhood photo (crop) of Squire. Note how the angel on the Love Spreads cover has eyes that have been tinted blue, the colour of Squire's. Compare the face of the 'Love Spreads angel' to the angel on the actual Second Coming CD; the former - with fatter cheeks - looks like that of a baby, whereas the latter looks more mature. Angels are the lowest order of nine gradations or choirs leading up to the seraphim. The cherub is an angel of the second order whose gift is knowledge, usually portrayed as a winged child. Perhaps Squire was nudged in this direction by the angel-winged Transparent Anatomical Manikin (middle row) of Nirvana's In Utero tour ? Reflecting on the recent suicide of Kurt Cobain, Squire commented to The Big Issue in December 1994, "I thought In Utero was their best LP." Bottom left: The example cited above would not be the last occasion on which Squire would superimpose childhood faces onto an artistic work. 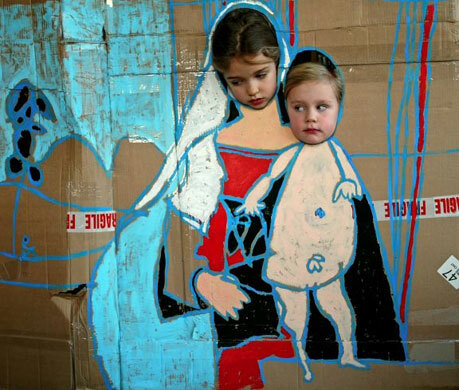 In December 2009, The Guardian challenged nine leading contemporary artists - including Mark Wallinger, Martin Parr, Rebecca Warren and Fiona Banner - to create their own nativity scene. 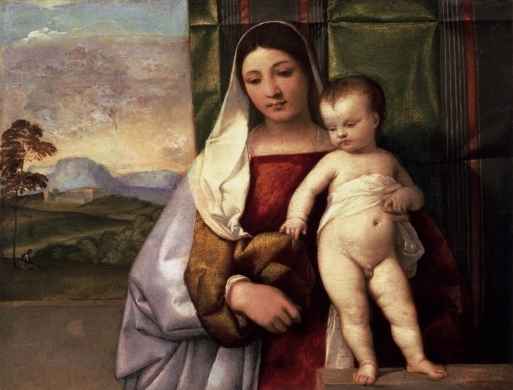 John Squire was among the featured artists, and his piece incorporated his two children, Martha and Dora, into an outline of 'Gypsy Madonna' (c. 1512) (bottom right) by Titian (c. 1488 / 1490 - 1576). Jesus came into this world in the humble surroundings of a stable, and Squire's choice of material on which to project the Nativity scene - the cardboard box which a homeless person would avail of - is derivative of this. Jesus was King of kings but here in the stable He lay, the fragile beauty of youth, being hidden from the wrathful Herod. Any effort to cast the parental homeless as a modern-day Holy Family is the Left at work. In recent times, the displaced person or illegal immigrant fits the socialist profile, tugging at the heartstrings of social justice warriors far and wide. Jesus, Joseph And Mary were not homeless. Jesus, Joseph And Mary were not illegals. This Squire work has some of the qualities of one particular Ray Lowry illustration, seen here. 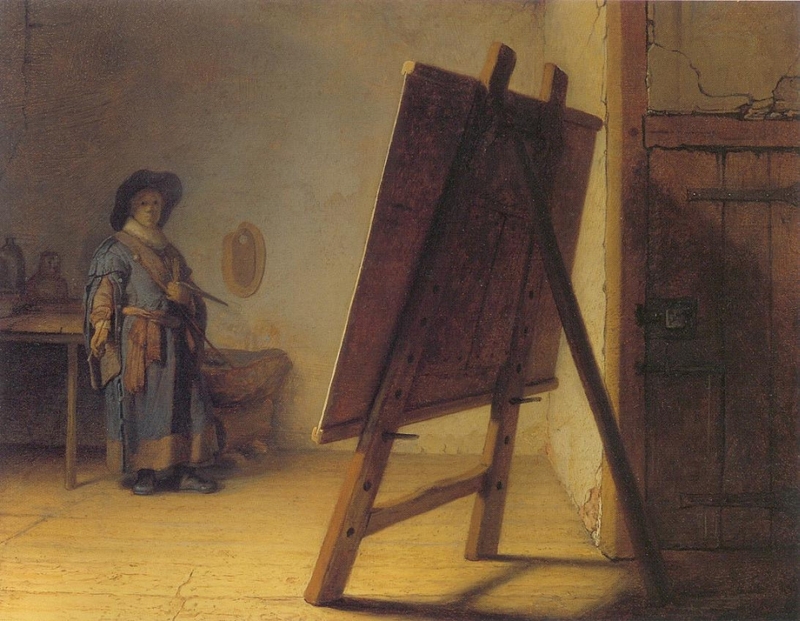 Squire granting access to the artist in his studio continues a long tradition of artists from Velázquez, Vermeer, Courbet and Picasso, with perhaps the most famous example being The Painter in His Studio (c. 1629) by Rembrandt. As with The Stone Roses' debut LP, there is a French historical theme running through the Joe Louis music video. At the beginning, we see a cockerel, symbolic of the triumph of the freedom loving Gauls. The cockerel became particularly associated with France at the time of the French Revolution. 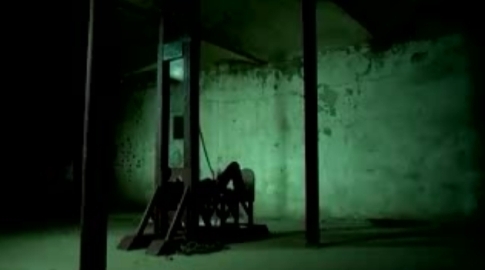 Squire is constructing a guillotine in the video, a decapitation instrument used heavily during the Reign of Terror of the French Revolution; the inclusion of this in the Joe Louis video is a nod to the execution of King Louis XVI (1754 - 1793) in 1793. Top row: Joe Louis video stills. French surgeon and physiologist Antoine Louis designed a prototype of the guillotine, which for a period of time after its invention was called a louisette. It was later named after French physician Joseph Ignace Guillotin, who advocated a more humane method of capital punishment. In the Joe Louis video, the camera locks in on the eye at the point of execution. On 1st December 1789, Guillotin remarked to the Assembly, "Now, with my machine, I cut off your head in the twinkling of an eye, and you never feel it !" 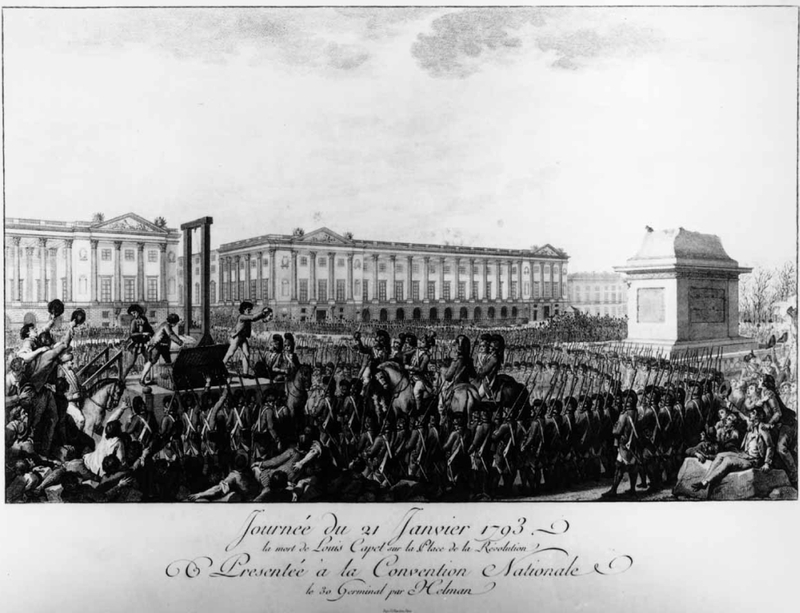 Bottom: Execution of Louis XVI in the Place de la Révolution. The empty pedestal in front of him had supported a statue of his grandfather, Louis XV, torn down during one of the many revolutionary riots. 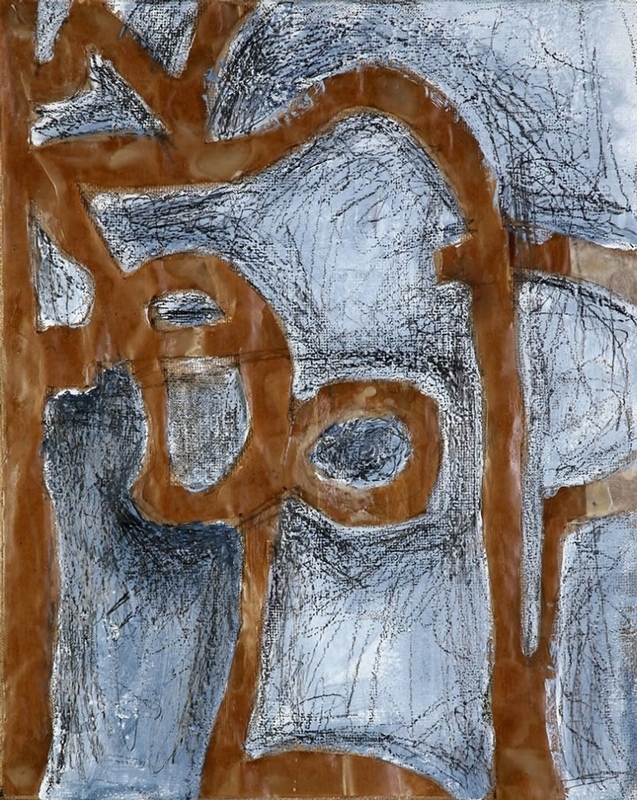 On this note, a John Squire artwork from 2007 is entitled 'The martinet' (pencil, paper, oil and wax on hessian, 20" x 16"). The martinet is a punitive device traditionally used in France and other parts of Europe. In English, the term martinet is usually used not in reference to the whip itself, but rather the figure who would use it - a person who demands strict adherence to set rules, especially such a person in the military. This sense of the word reputedly comes from the name of Jean Martinet, lieutenant-colonel and Inspector General of the army of Louis XIV and thus would be etymologically only by accident related to the earlier sense. * Squire ambiguously pronounces "enjoy your days, they're precious and few" as "...and Joe your days are precious and few" (possibly even "enjoy your days, my precious nephew"). Left: Joe Louis CD1 cover. Right: Joe Louis CD2 cover.